A SIMPLE IRA is a retirement plan designed for small employers to offer their employees. In this case, the term “employee” includes a self-employed individual who receives earned income. The Savings Incentive Match Plan for Employees (SIMPLE) IRA is a salary reduction arrangement wherein the employee elects to defer a percentage of compensation, before taxation, each pay period into a SIMPLE IRA. The employer then contributes the salary deferral, along with a matching amount, to the account on behalf of the employee. The contributions and earnings in these plans are not taxed until withdrawn. A self-directed SIMPLE IRA allows you to invest your retirement funds in real estate, notes, mortgages and other assets you may choose to acquire. You want your employees to contribute through convenient payroll deductions. You would like flexibility in how much to contribute to the employees’ plans. You are looking for a wider range of investment choices including stocks, bonds, mutual funds, real estate, notes, LLCs, and more. You are looking for a plan that is easy to set up and run – Advanta IRA handles most of the details. The most common way to fund any retirement plan is by making a contribution to your account. You may also roll over or transfer funds from an existing employer plan, such as a 401(k), a pension plan or another SIMPLE IRA. 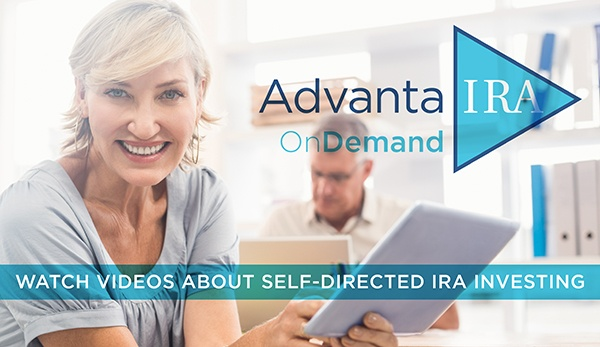 If your current retirement account does not allow self-direction, you may also transfer those funds to an Advanta IRA account so you may choose your own investments.